The prototype school was constructed for the County of Chatham as a replacement school of the old Port Wentworth Elementary School. 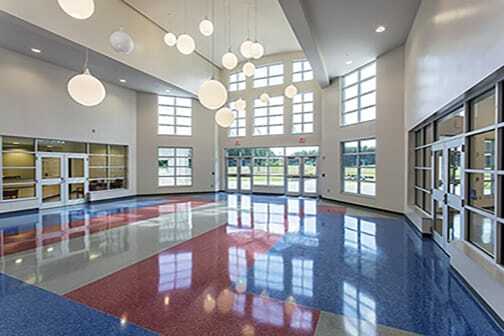 The new 142,650-square-foot Rice Creek K8 School is located on a 27acre greenfield site in Port Wentworth, Georgia. The new facility includes classroom and support space to accommodate 1,000 students with additional capacity for 200 students. 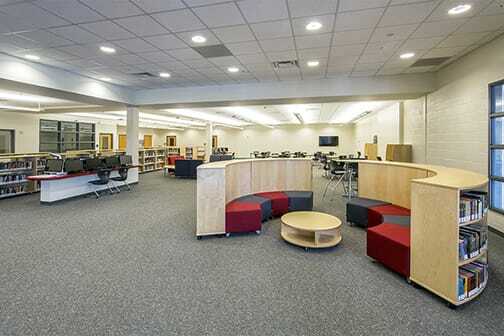 The school features a centrally located media center, dedicated music and art classrooms, science labs, and state-of-the-art dining and food preparation facilities. 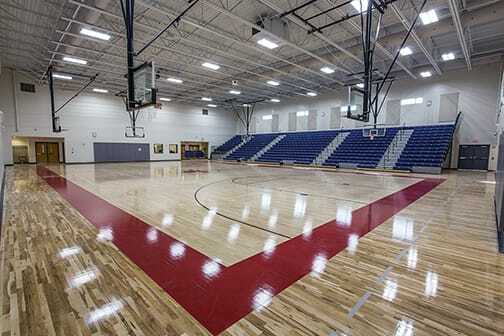 Other features include a full gymnasium designed to be a shared facility for use by civic and community groups as well as large outdoor playfields. The building, designed by BRPH, is a structural system of concrete tilt up and steel frame. The facility includes sustainable features throughout such as low VOC materials and recycled content. The spaces were designed with strategically located windows to provide abundant daylighting for the classrooms and labs. Interior rooms are outfitted with glazing to distribute light from the exterior windows. The school construction project was completed on time and within budget, even with the early challenges of major rain events and an extremely compressed schedule. 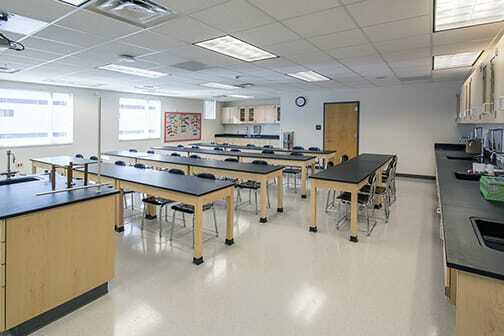 Gilbane worked with the school district, local subcontractors and partners to ensure the project stayed on-track.